I am not a running expert by any means, but here is how I trained for my first 5K and continued my running journey. 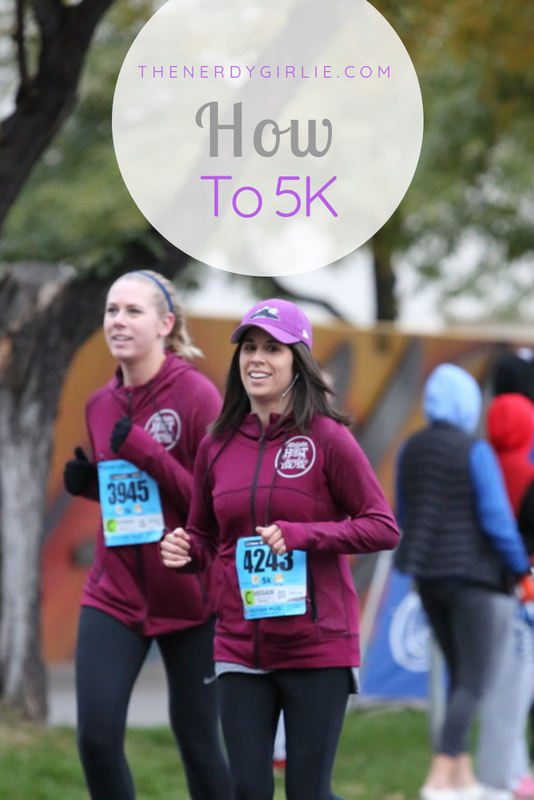 When my bestie Steph asked me to run my first 5K with her in 2017 I was SUPER nervous. I’d never run 3.1 miles, I could barely do two and that was with walking. I challenged myself to say yes and then began my research. 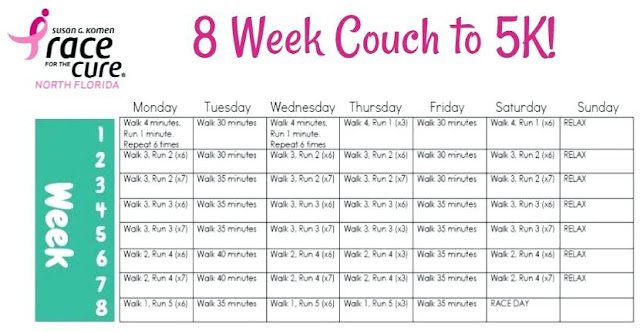 I found Couch to 5K and used that as a guide to begin training for 8 weeks prior to my first 5K. 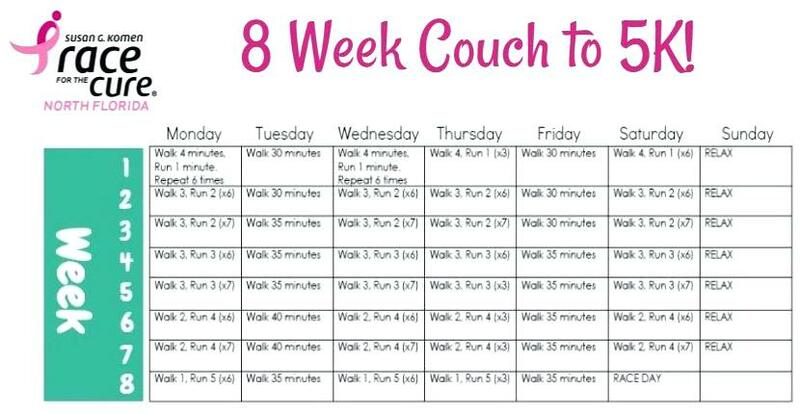 For the first two weeks, I followed the schedule by running on the treadmill. After two weeks, I felt ready to push myself so I began to just run the allotted time amount without stopping. By the halfway mark, I was ready to try my hand at a full 5K. It wasn’t great by any means, but at least I knew that I could finish! So when race day came, I was only a little bit nervous. One because of the crowds, two because I was training on the treadmill and three because it was my first! BUT it was great to have my BFFs by my side! I successfully finished my first 5K and I met my goal of running the entire time without stopping. Since then I’ve never looked back. NOW a year later and 6, 5ks under my belt, I think I have the training down. I use the Nike Run Club app to track my performance. It is great to see the paths you take on your runs, the pace you keep, your mile splits and having an easy way to share it via social media. The Nike Run Club app is free to download and I love how it keeps track of your entire running average. This app has been a huge motivator for me. Being able to SEE my progress is key and keeps me striving to do better. 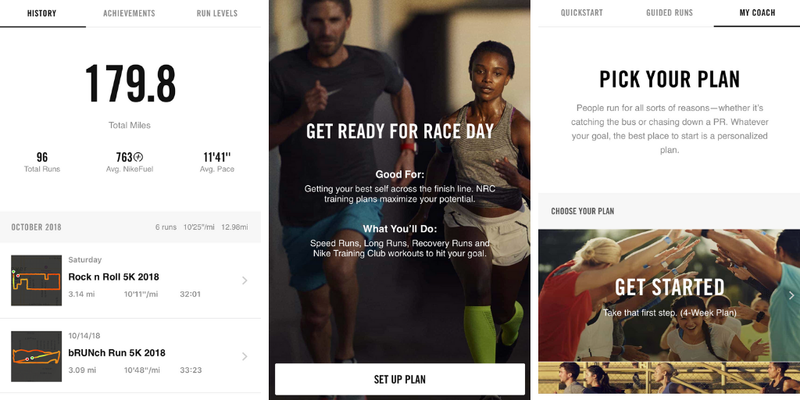 It even has a coach that can set you up with your own personalized 5K plan. I did that when I began training again this year and it worked great! Also it is great motivation to not MISS a run! I don't want to disappoint my coach! 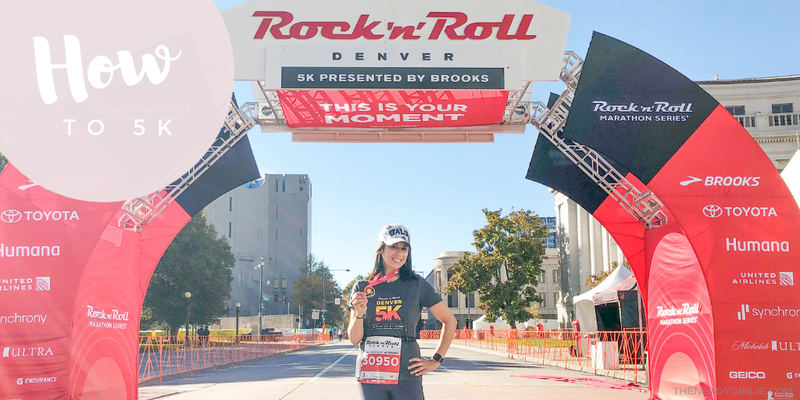 I have one race this November in Denver, the Pumpkin Pie 5K! I love this one because it is centered around my favorite thing...PIE! What I love about this series...one it is the longest running in Colorado, second, you get a medal after completing each race! PLUS awesome winter swag at each race as well. AND last but not least, it is only $150 for all 5 races. That equals out to only $30 per race which is the cheapest I’ve seen so far! You can register for all at once and receive a cool commemorative hoodie, or sign up for one at a time for $34 each. I say commit to push yourself in the new year and sign up for all of them! If you are not in Denver, the way that I like to find races is https://www.runningintheusa.com/. I also find races on Facebook, now that I'm following more Denver running sites, Facebook is suggesting races to me! That is how I got to where I am today! I'm addicted! But, everyone’s journey is different. Take it at your own pace, one step at at time! BUT make sure to push yourself too! YOU CAN DO IT! I started the C25k program a couple years ago and really loved it! I can't remember why I stopped, but I know that it was the perfect pacing for me while I was doing it.